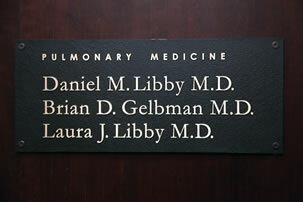 Our practice seeks to provide the highest quality, state of the art care in Pulmonary, Critical Care and Sleep Medicine, while always maintaining a highly personal focus on the patient. All of our doctors maintain an active affiliation with Weill Cornell Medical College and continue to collaborate on research. This provides our patients with access to clinical trials when appropriate as well as novel, groundbreaking therapies and procedures. By maintaining an academic appointment, our doctors are up to date with the forefront of knowledge on respiratory related diseases. In addition, we are the rare practice that still believes in serving as the patient’s doctor during all phases of their illness. We do our best to keep our patients out of the hospital, but when hospitalization is necessary, our doctors perform rounds and consults every day at New York Presbyterian and follow their own patients. We do not hand over our responsibility to Hospitalists, we strongly believe in the longitudinal care of patients. Lastly, we also believe in accessibility. Our doctors do not employ Nurse Practitioners or Physician Assistants to handle their phone calls. We believe the doctor-patient relationship relies on direct communication between the doctor and the patient.